All our soaps are made here at the monastery by monks. We use all natural ingredients. Some are cooked the old fashioned way, some are made cold and cured for a month. Unlike factory soaps, our soaps have a naturally high glycerin content which is a great moisturizer. If there is a particular scent or color you would like us to make, email the soapmakers at frmartin [insert@symbol] vashonmonks.com. 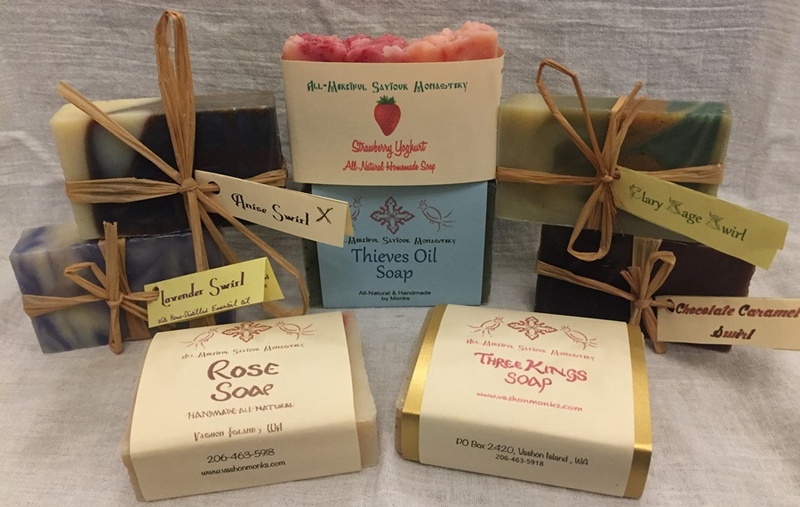 We are just getting started, so check back as we will be adding more items as we increase our stock of soaps. If you wish to order our soaps GO HERE.